JSW Energy will invest up to 40 billion rupees ($623 million) to build electric cars, batteries and charging infrastructure, part of the power company's diversification plans to drive future growth, its chief executive said. 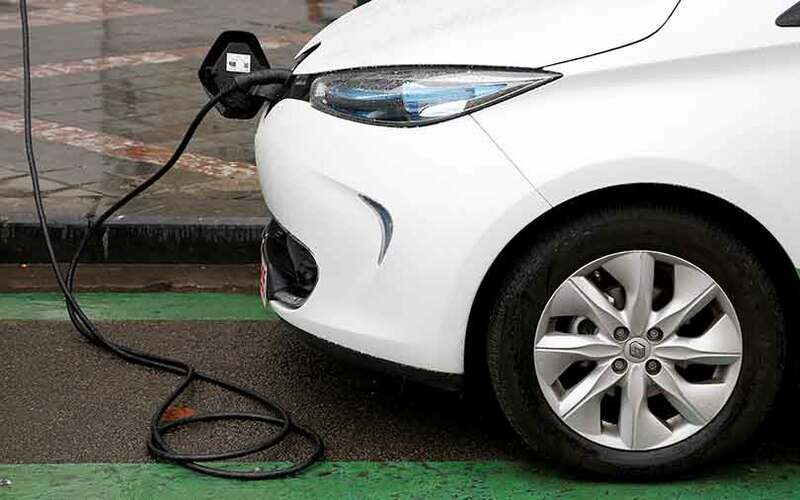 JSW plans to roll out its first electric car by 2020, which will make it the first non-automotive company in India to enter electric car business, as well as making batteries and supporting charging infrastructure, Prashant Jain, chief executive of JSW Energy said on Friday. India has proposed a 15-year roadmap for rolling out electric vehicles and is also auctioning solar power capacity as part of a push to triple renewable energy generation by 2022 and to cut greenhouse gas emissions. Jain, speaking after JSW reported first-quarter results, said energy storage was the right focus for the company, which has limited growth opportunities in the power sector and surplus cash. JSW, part of the JSW Group, which also includes JSW Steel, plans to build electric storage batteries for vehicles, telecom towers, household use and renewable power, he said. The company, with robust finances and a strong track record in efficiency, is scouting for manufacturing locations and technology partners for electric vehicles and will sell the car under JSW brand name. Jain did not elaborate how the company plans to make profits for shareholders from a venture which does not have a proven business model, but said it is betting big on the falling costs of electric vehicles and incentives offered by the government. He said in just three years time the cost of a conventional car in India will be equal to an electric car. But analysts are skeptical that JSW can meet the 2020 deadline for launching the car. "It is indeed a stiff deadline," Abdul Majeed, automotive lead, PwC India, said. "Existing OEMs (original equipment manufacturers) are struggling as battery costs are still three times the cost of conventional car battery, plus (charging) infrastructure is completely missing in the country," Majeed said. He said a complete ecosystem for electric vehicles was at least seven to 10 years away. India's Mahindra & Mahindra in May had said that the company would invest in building long-range electric vehicles by mid-2019. It had entered the electric vehicle business in 2010 by acquiring Bengaluru-based Reva Electric Car Co.
JSW Energy reported consolidated net profit of 2.17 billion rupees for the quarter ended June 2017 versus 3.67 billion rupees during the same period last year. Analysts expected the company to post net profit of 2.70 billion rupees, according to Thomson Reuters data.